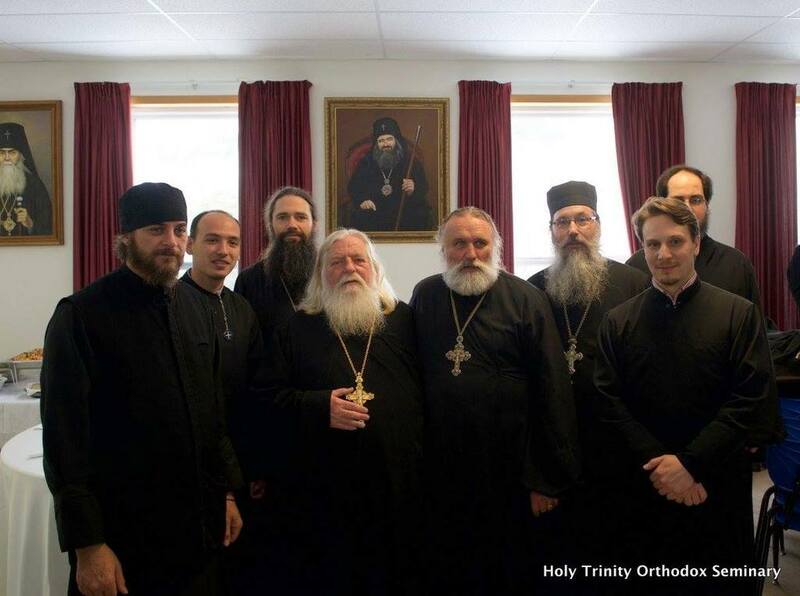 Representatives of the Diocese of San Francisco and Western America traveled to Holy Trinity Seminary in Jordanville, NY, for the II Annual Gathering of Alumni which was organized from the 10th to the 12th of February, 2016, the Feast of the Three Hierarchs, the Heavenly Protectors of that theological school. Returning to their spiritual roots and home of spiritual formation were the following graduates: Archpriest Stefan Pavlenko, Archpriest George Kurtow, Archpriest Paul Volmensky and Stoyan Andov. Also from the Western American Diocese, but living currently in Jordaniville are Priest Ephraim Willmarth, Deacon Peter Markevich, Monk Nikon (Provotakis) and Nicholas Kotar. During those days an alumni association was formed and Father Stefan Pavlenko was chosen as its first president. Also, from our diocese, Archpriest Paul Volmensky offered the keynote speech at the festal banquet on the last day. From February 10-11, on the eve of its patronal feast of the Three Hierarchs, Holy Trinity Orthodox Seminary hosted the second Alumni Reunion, bringing together HTOS graduates from various classes for common prayer and fellowship. In the evening of Wednesday, February 10, a festive meal was served for the alumni, including the visiting hierarchs. The seminary graduates, now – distinguished hierarchs and priests, shared many fond memories of their time together. On February 11, the visiting alumni assembled in the Seminary Hall at 9:30 AM to hear the presentations from the Seminary faculty and administration, and to discuss the future of HTOS Alumni Association. The alumni became acquainted with the new, highly qualified instructors who joined the Seminary faculty in the recent years. In his address, the Very Rev. Archimandrite Luke (Murianka), Rector of the Seminary, announced the recent transition to the four year curriculum for the B.Th. program, and shared the plans for the creation of the first-ever graduate Master’s program at the Seminary. In his talk, Fr Luke called for regular cooperation and communication between the Alumni Association and the Seminary, and for this reason proposed to elect the President of the Association who will serve as a liaison between the Seminary and the alumni community. In response to Fr Luke’s proposal, the assembled alumni elected the Very Rev. 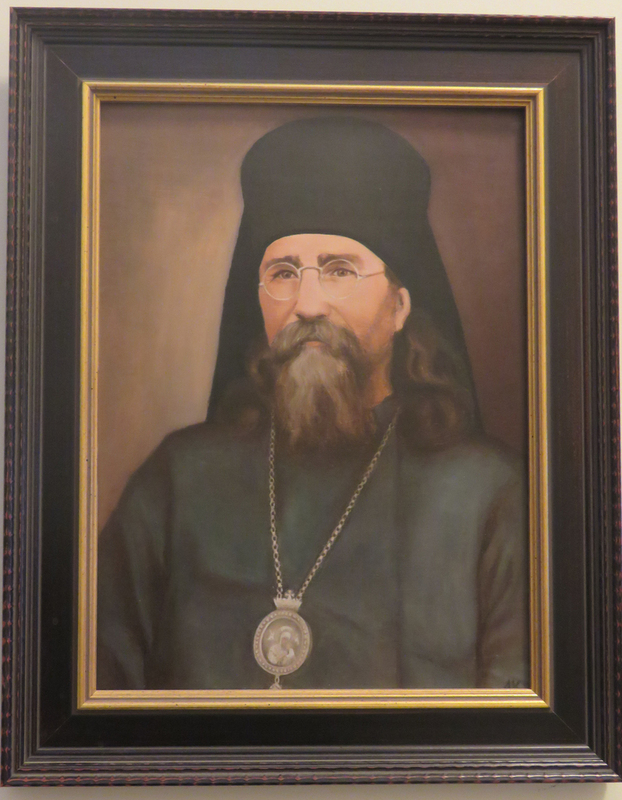 Mitred Archpriest Stefan Pavlenko (class of 1971), rector of the Church of All Russian Saints in Burlingame, CA, as the first President of the HTOS Alumni Association. In the afternoon, the alumni guests heard the presentation of Michael Perekrestov, the Curator of the Foundation of Russian History Museum, and were able to see the museum and to visit the Holy Trinity Bookstore. 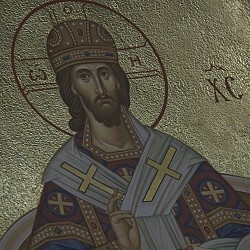 The celebration of the patronal feast of the Seminary, the feast of Three Holy Hierarchs and Ecumenical Teachers Basil the Great, Gregory the Theologian, and John Chrysostom, began with the hierarchal vigil Thursday night and culminated with the hierarchal Divine Liturgy Friday morning. The vigil and the Divine Liturgy were concelebrated by three alumni hierarchs: the Most Rev. Archbishop Gabriel (Chemodakov) of Montreal and Canada (’84), the Right Rev. Bishop George (Shaeffer) of Canberra (’80), and the Right Rev. Bishop Nicholas (Olhovsky) of Manhattan (’98). In addition to the Abbot of the Holy Trinity Monastery the Very Rev. Archimandrite Luke (’78) and the monastery clergy, the Divine Liturgy was concelebrated by the visiting HTOS alumni: the Very Rev. Archpriest Victor Potapov (’72; Washington, DC), the President of the Alumni Association the Very Rev. Archpriest Stefan Pavlenko (’71), the Very Rev. Archpriest George Kurtow (’78; Seaside, CA), the Very Rev. Archpriest Paul Volmensky (’86; Sacramento, CA), the Very Rev. Archpriest George Kallaur (’84; Staten Island, NY), the Very Rev. Archpriest Alexis Duncan (88; Albany, NY), and others. During the Sixth Hour, His Eminence Archbishop Gabriel performed the tonsure of the second-year seminarian George Luimes to the rank of a Reader, and after the Great Entrance, Vladyka ordained George’s father, Deacon Mark Luimes (Niagara Falls, Ontario) to the holy priesthood. After the communion verse, Reader Vitaly Permiakov, the HTOS Instructor in Dogmatic Theology, delivered a sermon on the Feast. At the end of the liturgy, the moleben to the heavenly patrons of our school was served, and Archbishop Gabriel addressed all those assembled with the words of greeting. Immediately after liturgy, the hierarchs, clergy, alumni, faculty, students and the entire community assembled in the Seminary Hall for the festive lunch and reception. His Grace Bishop Nicholas congratulated the Seminary community with the feast and read the letter of greeting from His Eminence Metropolitan Hilarion (’72), First Hierarch of the Russian Church Abroad. Rev. Ephraim Willmarth (2011), Assistant Dean of the Seminary, read to the assembly the letter of greeting from His Grace Bishop Peter (Lukianov) of Cleveland (’71), President of the Pastoral School of the Diocese of Chicago and Mid-America. The keynote address at the reception was delivered by Archpriest Paul Volmensky (’86), rector of Holy Ascension Church in Sacramento, CA. Subsequently, Fr Ephraim announced the names of the seminarians who became the recipients of the scholarship awards: The Protopresbyter Valery Lukianov Scholarship, Ivan V. Kouliaeff Educational Fund, and St Sava Scholarship. The Very Rev. Protopresbyter George D. Dragas, Professor of Patristics at Holy Cross Greek Orthodox Seminary (Brooklyne, MA) and Visiting Professor of Moral Theology at HTOS, greeted the Seminary community with inspiring words emphasizing the connection between the seminary and the monastery as a vital link for the spiritual growth of students. A brief greeting by the newly-elected President of HTOS Alumni Association, Fr Stefan Pavlenko concluded the reception. The faculty, students, and the administration of the Seminary wish to thank all of the alumni who found time to attend the Second Annual Alumni Reunion, and to share with all of us the joy of our common patronal feast! We all hope to remain in constant contact with the alumni community, and to see many more of our graduates again next year!